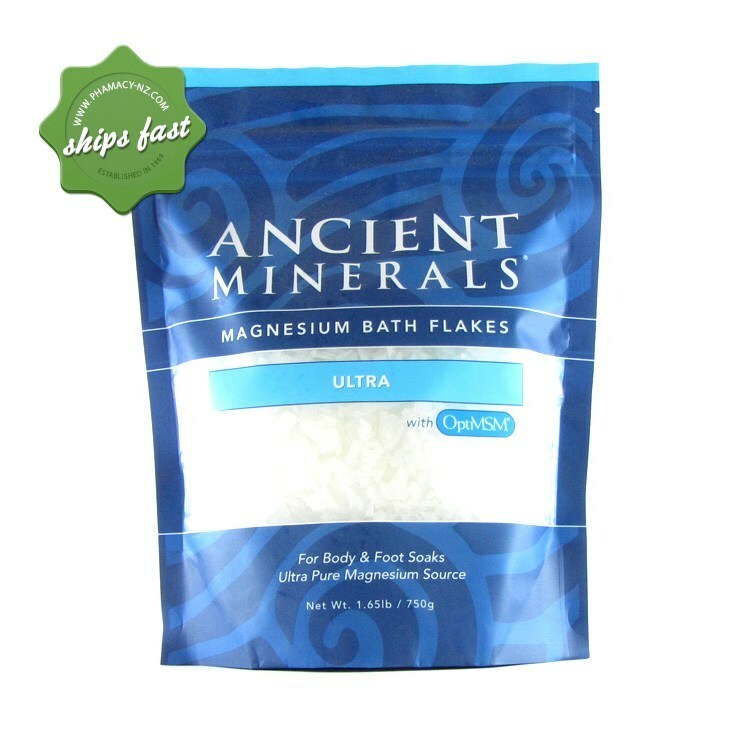 Soothing Magnesium Chloride Flakes for the bath or foot soaks to support magnesium absorption through the skin as an alterative to oral supplementation. 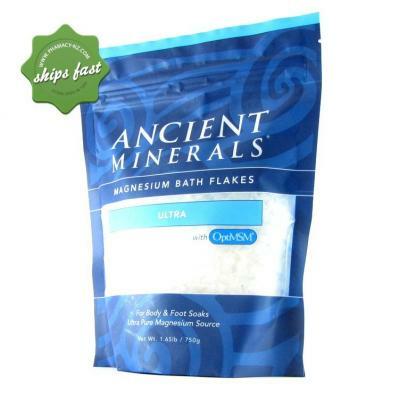 These flakes differ from the original magnesium flakes formulation as they have added MSM to support optimal absorption of magnesium through the skin by giving it the support of MSM a sulpher supplement (Methylsulfonylmethane). 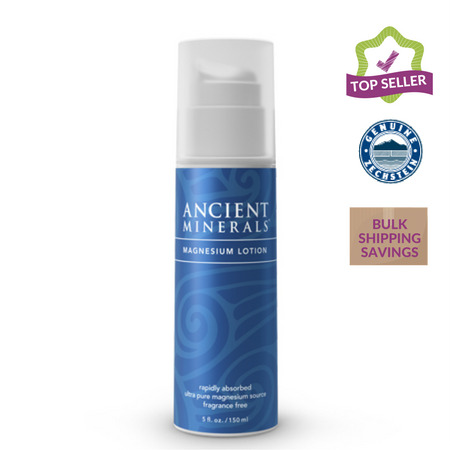 Why Choose Ancient Minerals over other brands? Zechstein seabed in northern Europe. 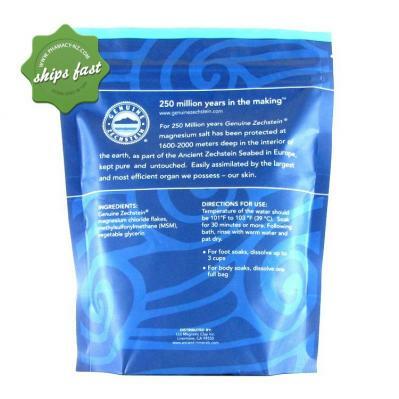 This seabed lies 1,600 to 2,000 meters beneath the surface of the earth, where it has been protected for 250 million years. The ultra pure oil thereby provides high levels of magnesium and trace elements from pure, unpolluted deposits found in this ancient sea. Always look at the source of your supplements. 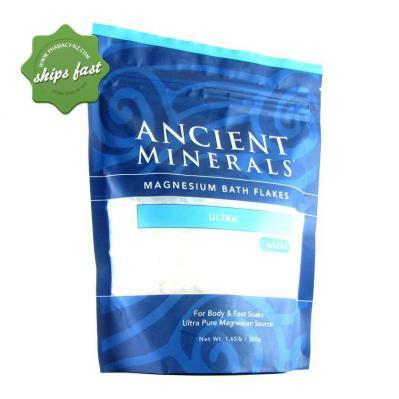 Genuine Zechstein magnesium chloride flakes, methylsulfonylmethane (MSM), vegetable glycerin. 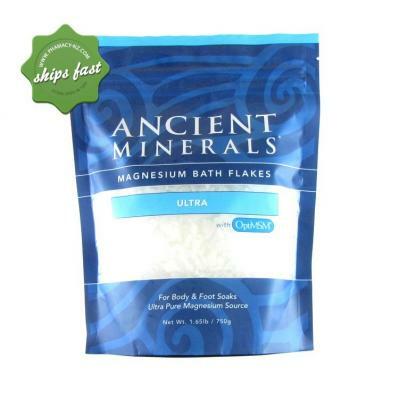 Save on petrol - buy Ancient Minerals Magnesium Bath Flakes Ultra with OptiMSM 750g online at a great price and have it shipped to your door fast!